Closer Cycle Systems was started by partners Jared Hardy and Amanda Charles at the beginning of 2013, to answer one big question: if given a fair competitive environment, can small local businesses like yours win against massive remote controlled multi-national conglomerates? We believe the answer is yes. By being small and local, you are more nimble and know your clients much better. By working together, we can eliminate the structural advantages of large businesses by leveraging new communication and automation technologies. The Internet, at first glance, might seem to give large business even more reach and power. In truth, the Internet is one of many tools to eliminate information asymmetry, to level the playing field for all competitors. Please let us help you use those tools to win. We are starting by offering technology assessments to any small store-front or service business in the neighborhood of Eagle Rock, Los Angeles, California. Small businesses in the neighboring Northeast Los Angeles (NELA) regions such as Highland Park, Glassell Park, Atwater Village, Glendale, Burbank, and Pasadena can also apply for low cost consultations. Businesses over 50 employees or located outside the NELA region may be required to pay a minimum visit fee, which varies dependent on site proximity to MTA rail stops. If you’re interested in talking, please take our Customer Survey! 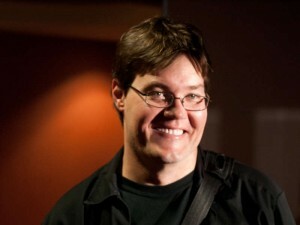 Jared is a Computer Scientist and Graphic Artist with 12 AAA video game credits attained in 12 years, and over 20 years in general Information Technology Management. He is now active in the non-profit world, including founding and directing the local 501(c)(4) NELA-Shares.Net (Northeast Los Angeles Shares Network), and the related national 501(c)(3) project DataRoads.org (Data Roads Foundation). Review his LinkedIn profile for more details. Look at his MobyGames profile for some of his video game development credits, if that’s what you’re into. 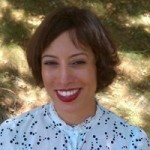 Amanda is a Librarian and Web Interface Designer. Review her LinkedIn profile for more information and capitalisations.